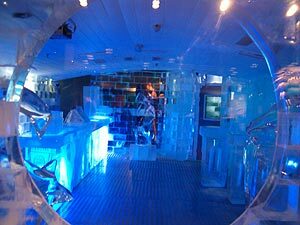 Absolut Ice Bar in Stockholm. Cold and empty now, but in the evenings gets fully crowded. On one of the ice bricks you can read: "cleaner than water".